Boxing the Compass is a poetry collection of mid-life reassessments that also makes room for the martyrdom of Saint Polycarp, tone-deaf church choirs, the last of the Newfoundland whalers, and vividly remembered Portuguese fishermen. Spiritually searching and intellectually rich, Richard Greene's third book -which ranges from intimate to ironic to satiric -shuns easy answers in poems of unfashionable eloquence comprised of colloquial textures, clear-eyed narratives, political subtexts, and no-nonsense introspection. 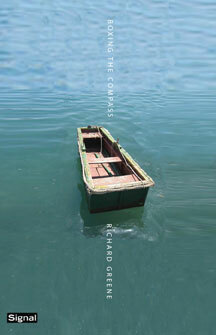 Richard Greene has published two previous books of poetry. He is the editor of the widely acclaimed Graham Greene: A Life in Letters. Greene teaches Creative Writing and British Literature at the University of Toronto. He lives in Corbourg, Ontario.